Cost Including : Cab Rent , Fuel , Driver Allowance , Parking, Toll & Charges. Time: 10.00 Pm : Tour Ending at Coimbatore. 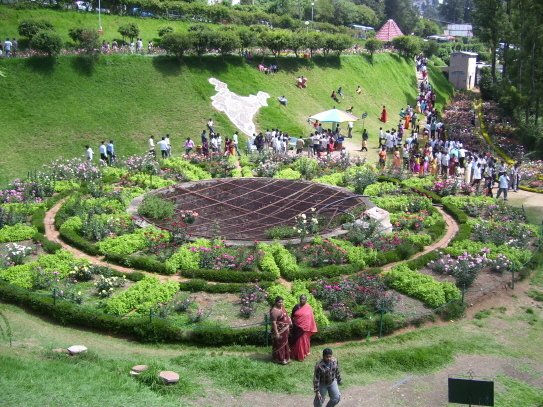 Ooty - Ooty Centenary Rose Garden, Lake(Boathouse), Thread Garden, Children Park, Botanical Garden, Dodabetta Peak, Tea Factory, Pine Forest, Kamarajar Dam, 6th Mile, 9th Mile Cine shooting point, Toda settlements (Tribal Village), Golf course, Pykara falls, Pykara lake(Boating) , Wax Museum, Ketti Valley View, MRC Military Camp (Outside View), Sims Park, Dolphin's Nose, Lamb's Rock, Tea Gardens, Nilgiri Mountain Railway. Cost Including : Cab Rent , Fuel , Driver Allowance , Parking & Toll Charges. Fort Kochi, Kochi Beach, Cochin Harbour, Museum of Kerala History, Veega Land. Cost Including : Cab Rent , Fuel , Driver Allowance , Parking, Tolls & Interstate Permit Charges. Sabarimala Sree Dharma Sastha Temple, dedicated to Lord Ayyappa, is the most famous and prominent among all the Sastha temples in Kerala. 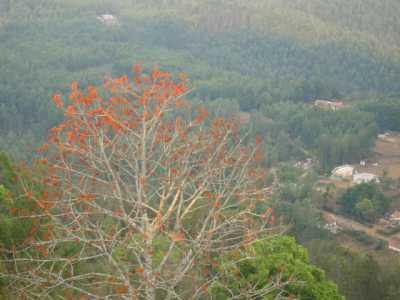 The temple is situated on a hilltop (about 3000 feet above sea level) named Sabarimala in Pathanamthitta district, which is unique in many respects. 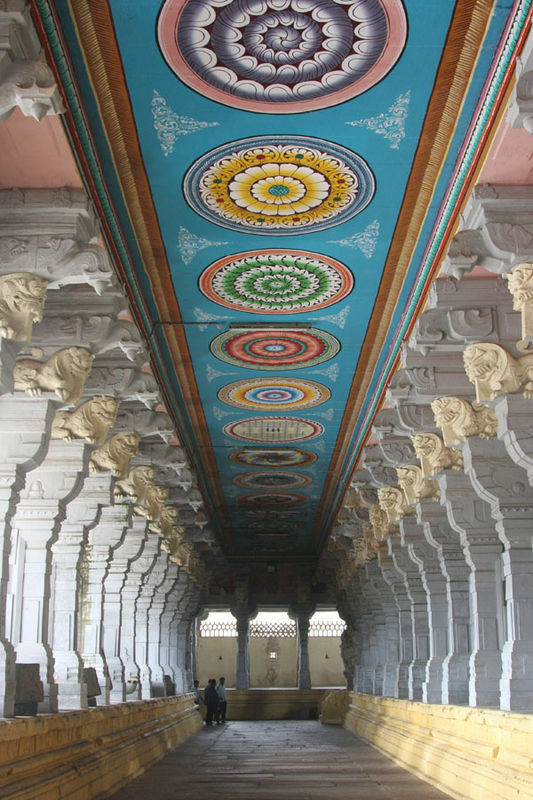 The uniqueness gathers its voice, as the temple is open to all, irrespective of caste, creed or religion. An interesting fact is that it is not open throughout the year. 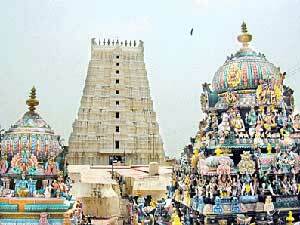 It is open for worship only during the days of Mandalapooja, Makaravilakku and Chitra Vishu. It is said that the pilgrims have to follow fasting for 41 days to cleanse their minds before going to Sabarimala. 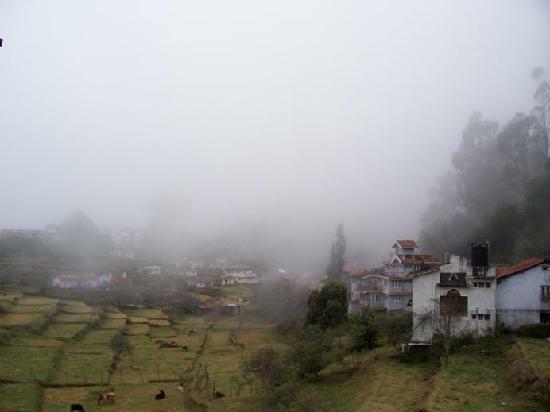 The journey to the temple is to be taken through difficult paths in the forest as the vehicles can go only up to Pampa. 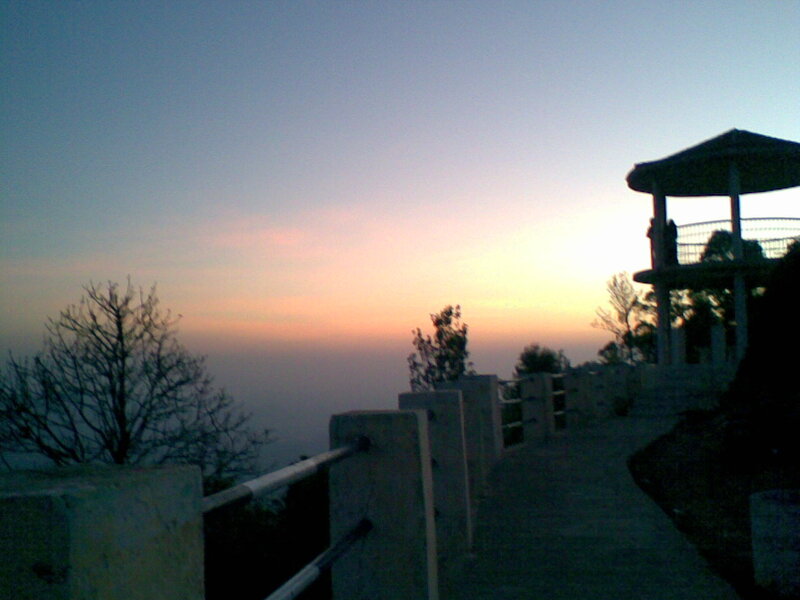 Tourist Attractions in Valaparai Package. 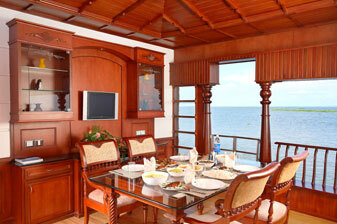 Cost Including : Cab Rent , Fuel , Driver Betta , Parking &Toll Charges. 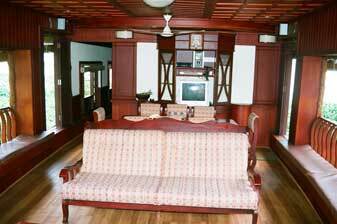 Guruvayur is one of the most sacred and important pilgrim centres of Kerala. 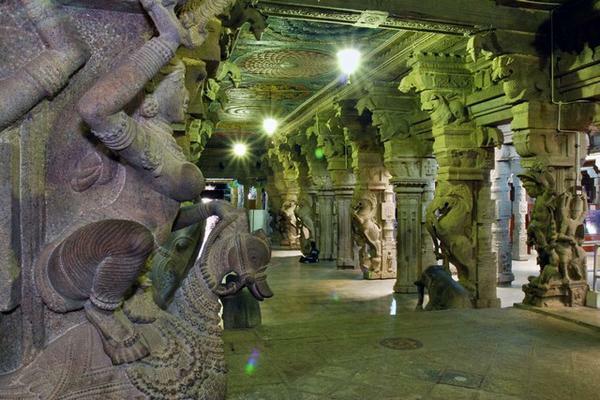 Its main attraction is the Sree Krishna temple. 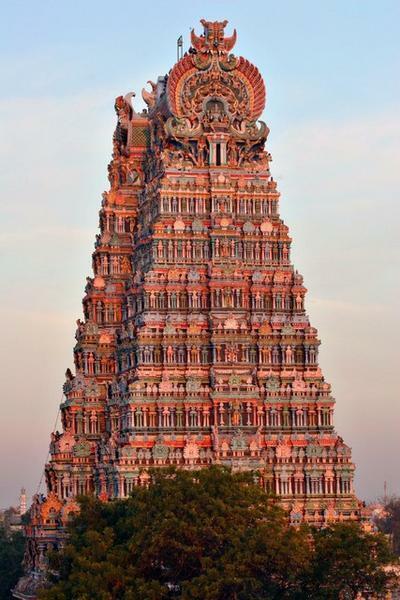 According to belief, the temple is the creation of Guru, the preceptor of the Gods , and Vayu, the God of winds. The eastern nada is the main entrance to the shrine. 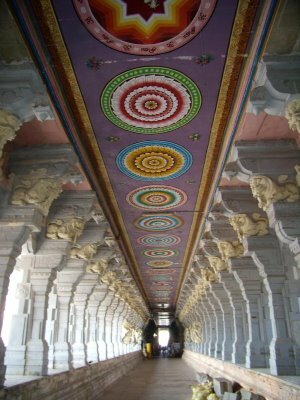 Within the temple there are also the images of Ganapathy, Lord Ayyappa and Edathedattu Kavil Bhagavathy. Only Hindus are allowed inside the temple. The Guruvayur Sri Krishna Temple is one of the most important and sacred pilgrim centres in South India. 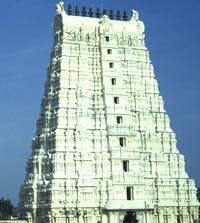 It is called the 'Dwarka of the South', Parthasarathi Temple, Harikanyaka Temple, Chavakkad Beach. 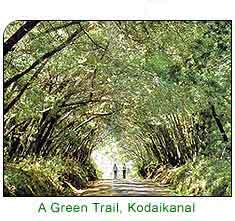 Kodaikanal : Kodaikanal Lake, Coaker's Walk, Pillar Rocks, Bryant Park, Green Valley View, Kurinji Andavar Temple, Silver Cascade Falls, Guna Cave, Berijam Lake is about 20 - 25 kms from kodaikanal inside forest area, Dolphin's Nose, Bear Shola Falls, Shenbaganur Museum. Cost Including : Cab Rent , Fuel , Driver Betta , Parking, Toll Charges & Interstate Permit Charges. Note : Same Tariff for Pick up from Mysore & ( Mysore - Ooty - Kodaikanal - Coimbatore drop ). 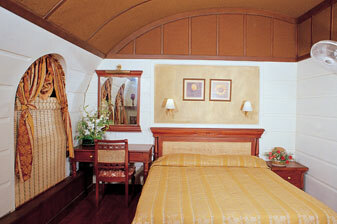 Cost Including : Cab Rent , Fuel , Driver Betta , Parking Toll Charges. 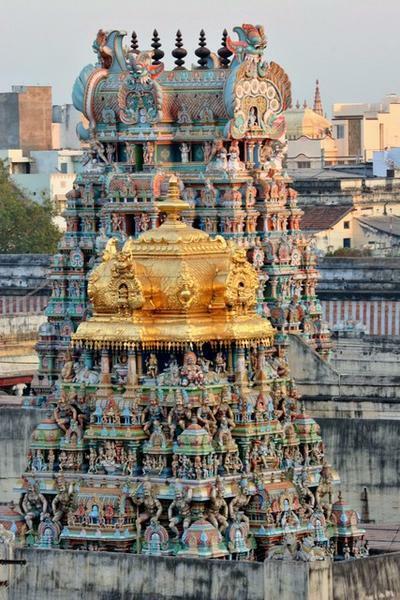 The idol of Palani Andavar is said to have been made of Navapashanam ( a combination of Veeram, Pooram, Rasam, Jathilingam, Kandagam, Gauri Pasanam, Vellai Pasanam, Mridharsingh, Silasat), by a siddhar called Bhogar. Bangalore : Vidhana Soudha, Lalbagh Park, Cubbon Park, Government Museum, The Bangalore Palace & Fort, The Bull Temple, Indian Institute Of Science. 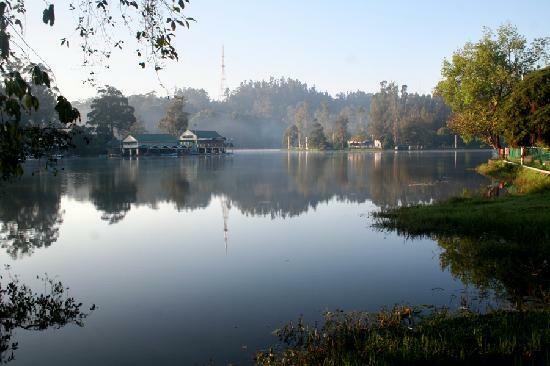 Ooty : Botanical Garden, Ooty Lake (Boat House), Rose Garden, Nilgiri Mountain Railway, Government Museum, Doddabetta Peak (Standing at an altitude of 2,623 mts), 6th & 9th Mile (Shooting Spot), Pykara Falls & Boating, Mudumalai wildlife sanctuary. Note : Same Charges for Pick up from Coimbatore & ( Coimbatore - Ooty - Mysore - Bangalore drop ). Cost Including : Cab Rent, Fuel, Driver Allowance, Parking & Toll Charges. Cost Including : Cab Rent, Fuel, Driver Allowance, Parking, Toll Charges & Interstate Permit Charges. Cost Including : Vehicle rent , Fuel , Driver Allowance , Parking, Toll & Interstate Permit Charges. 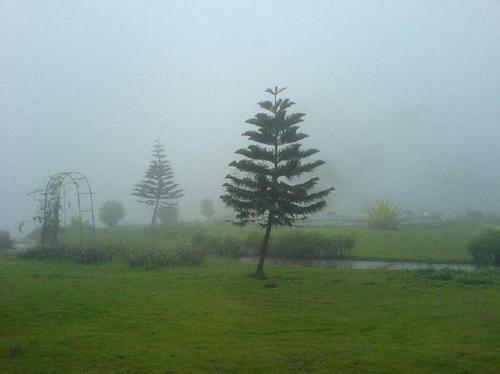 Mysore city is at 770m above sea level and 140 kms from Bangalore. 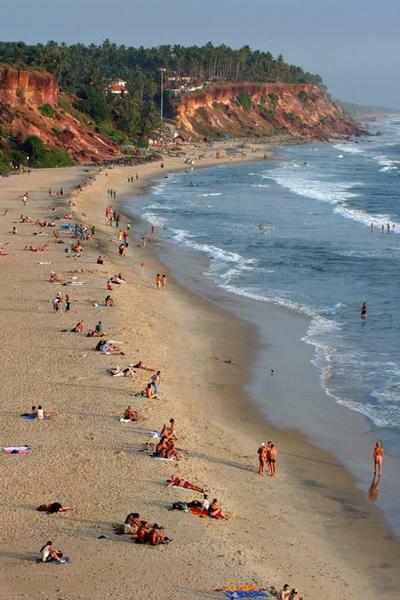 Also known as the City of Palaces, Mysore retains a quaint charm, that never fails to enchant. 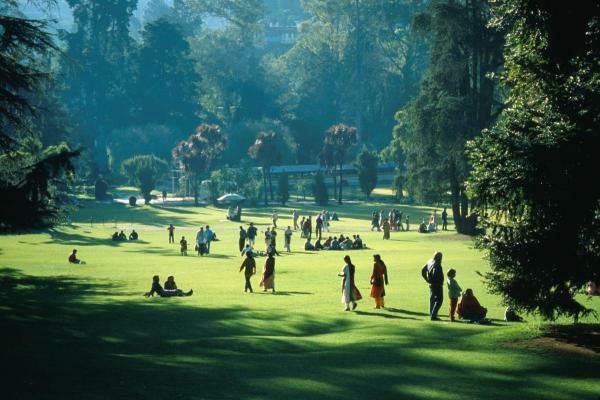 Situated in the southern part of the Deccan Plateau, Mysore District is an undulating tableland, covered in parts by granite outcrops and fringed by verdant forests. 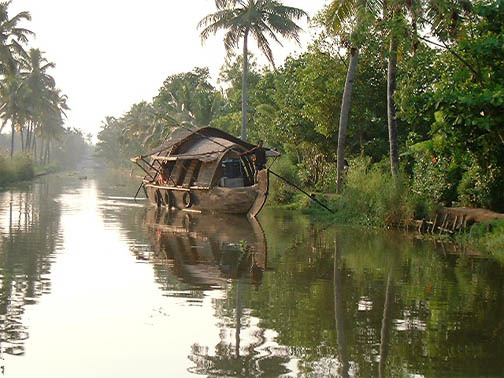 From ancient times, this district has played a significant role in the history of South India. 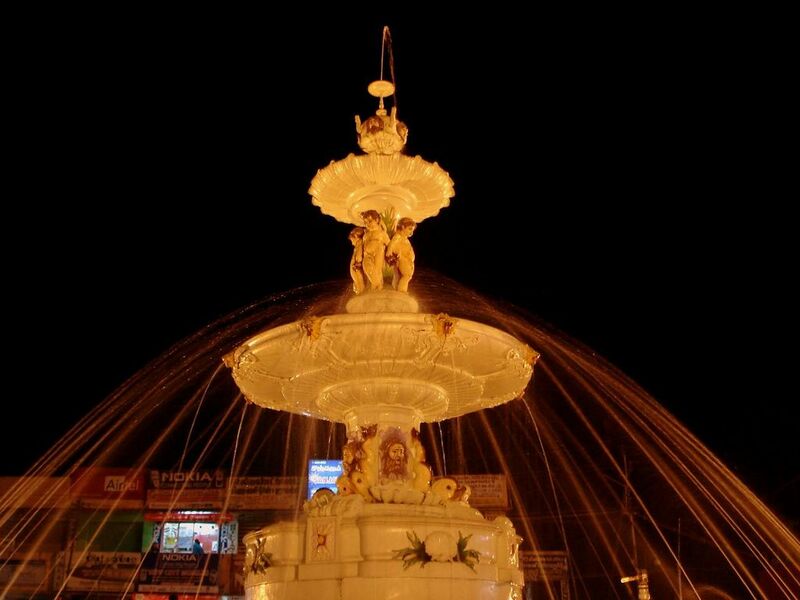 Mysore District is a popular tourist destination, offering several attractions ranging from the royal splendour of Mysore City and its fabulous Dasara Festival to exquisite temples, pilgrimage centres and scenic spots. 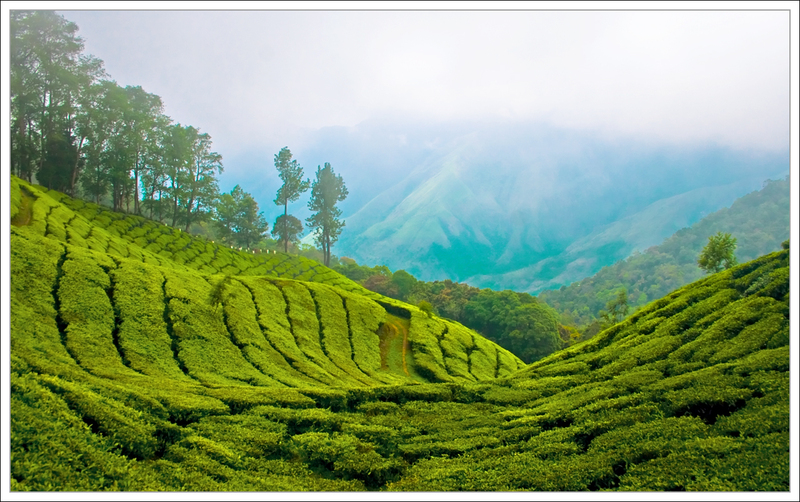 Parambikulam can be reached from both Tamil Nadu as well as Kerala. 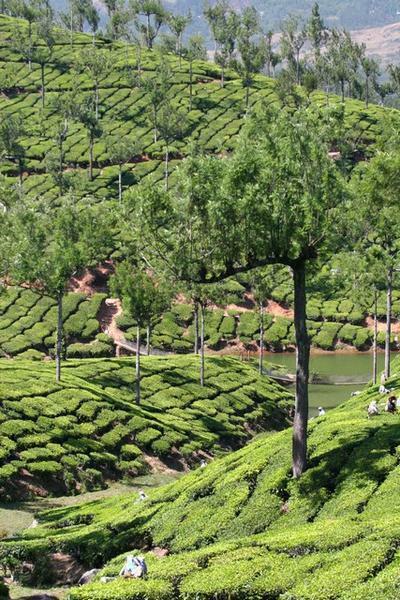 For those who are travelling through Tamil Nadu the best option is to pass through the Indira Gandhi Forest and reach Parambikulam. The roads are hilly and taxis are the best option. Jeeps can climb these sleeps easily. 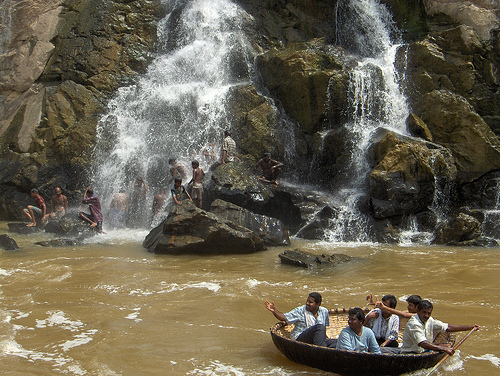 The best way to reach Parambikulam is from Coimbatore. 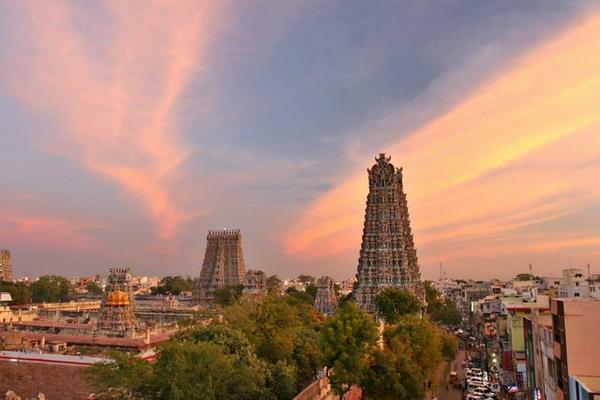 Coimbatore is the nearest railway station and this is the best option. 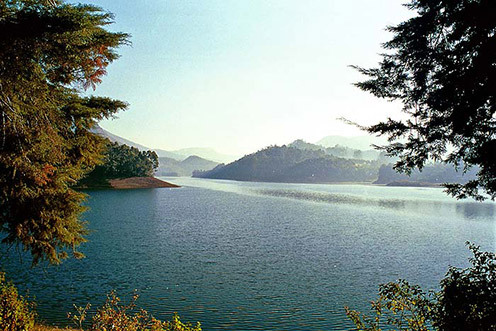 Parambikulam Dam, Lake Thoonakkadavu, The World's Largest Teak Tree, Boat Cruises and watch Towers ,Trekking. 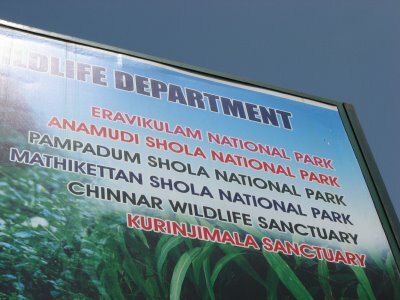 Topslip Wildlife Sanctuary , Elephant Safari. 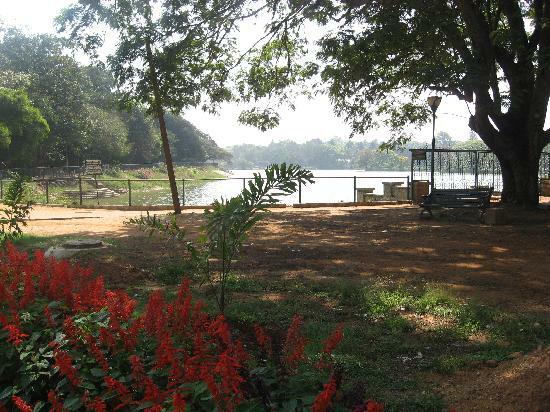 Thirumoorthy Temple, Maasani Amman Temple, Aaliyar Dam, Aliyar Ashram. 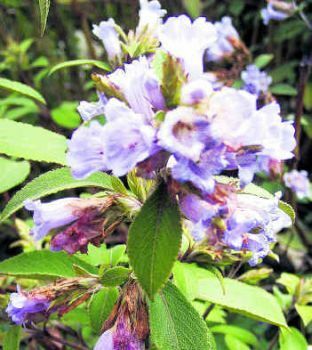 Day 1 Coimbatore to Ooty Centenary Rose Garden, Lake(Boathouse), Thread Garden, Children Park, Government Museum, Dodabetta Peak, Tea Factory, Botanical Garden, Wax Museum. 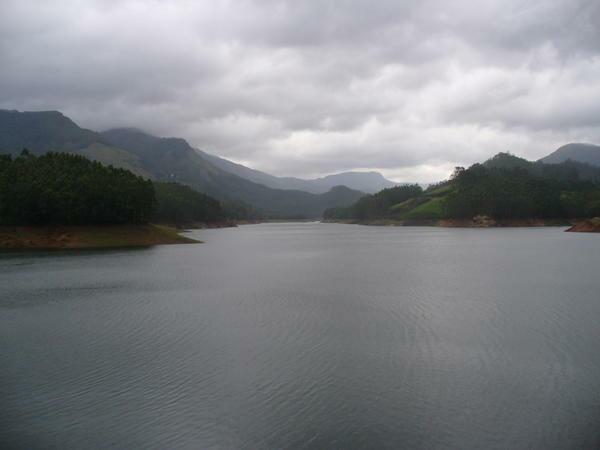 Day 2 Ooty to Pine Forest, Kamarajar Dam, 6th Mile, 9th Mile Cine shooting point, Toda settlements (Tribal Village), Golf course, Pykara falls, Pykara lake (Boating), Mudumalai Wild Life Sanctuary Sightseeing & back to Ooty. Day 3 Ooty to Coonoor Ketti Valley View, MRC Military Camp (Outside View), Dolphin's Nose, Lamb's Rock, Tea Gardens, Sims Park & Proceeding to Kodaikanal. Day 4 After Brakefast Kodaikanal Local Sightseeing Coaker's Walk, Pillar Rocks, Bryant Park, Green Valley View, Kurinji Andavar Temple, Silver Cascade Falls, Guna Cave, Berijam Lake is about 20 - 25 kms from kodaikanal inside forest area, Dolphin's Nose, Bear Shola Falls, and back to Hotel. 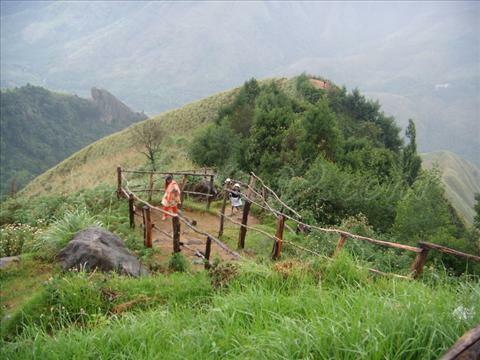 Day 5 Kodaikanl to Munnar, Check in to Hotel & local Sightseeing - Cochin Road sector local sightseeing : Ideal Park, Pothamedu View Point, Aathukadu Water Falls, Spice Garden Tour (Entrance Fee Rs 100.00 / Head), Thekkady Road sector local sightseeing : Lock Heart View, Gap road View, Power House Water Falls, Anayirangal Dam View, and back to Munnar. Day 6 Munnar local sightseeing - Rose Garden, Photo Point, Honey Bee Tree, Elephant Ride, Mattupetty Dam & Boating, Film Shooting Point, Echo Point, Trible Village View, Kundaladam & Boating, Top Station, and back to Munnar. 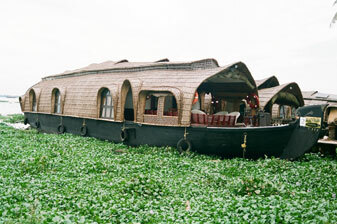 Day 7 Munnar to Alleppey, Check in House boat / Resort - Full Day in Back Water, Over Night Stay House Boat / Resort. 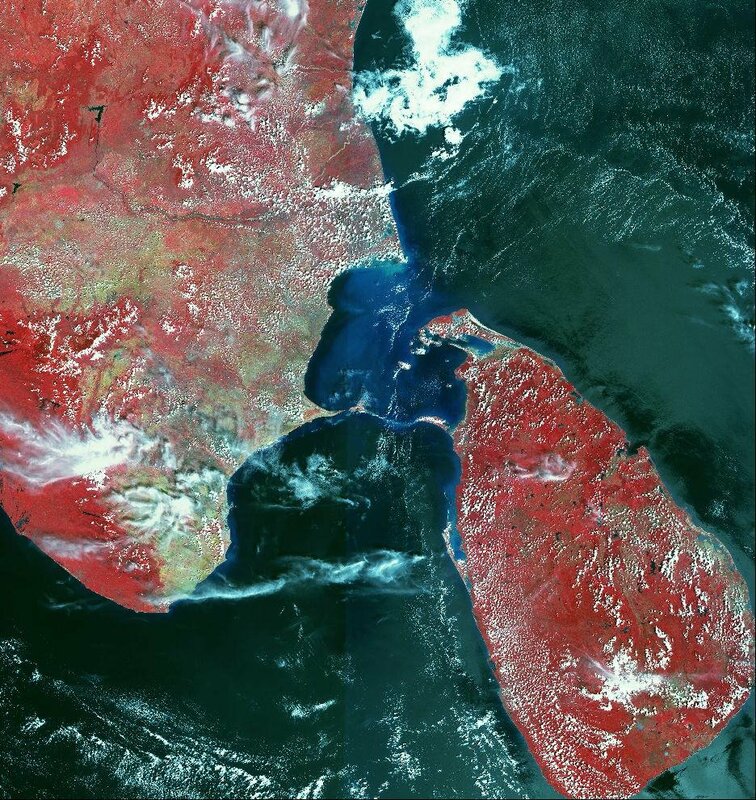 Rameshwaram - Sri Ramanathaswamy Temple , Dhanushkodi Temple, Hanuman Temple, Kothandaramaswamy Temple , Rama Tirtham (Gandamadana) , Lakshmana Tirtham , The Five-faced Hanuman Temple , Pamban Bridge. 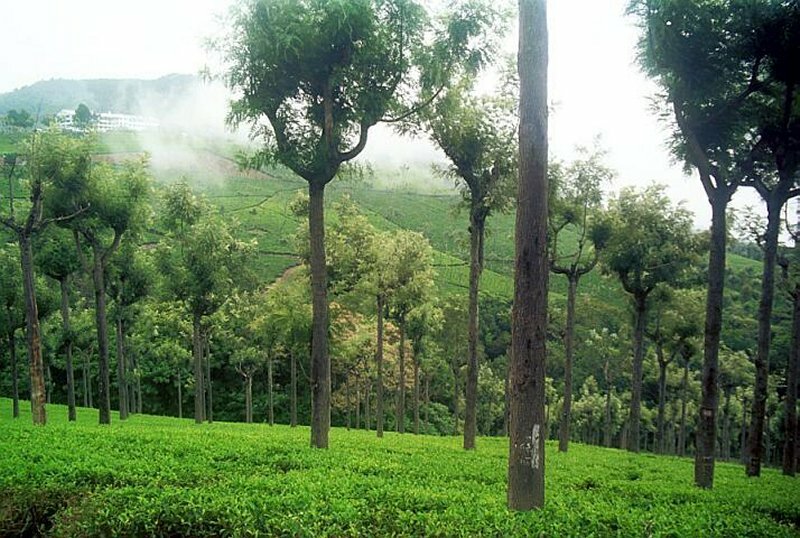 The Nilgiris are in Tamil Nadu, but it is quite near the borders of neighboring states Karnataka and Kerala. 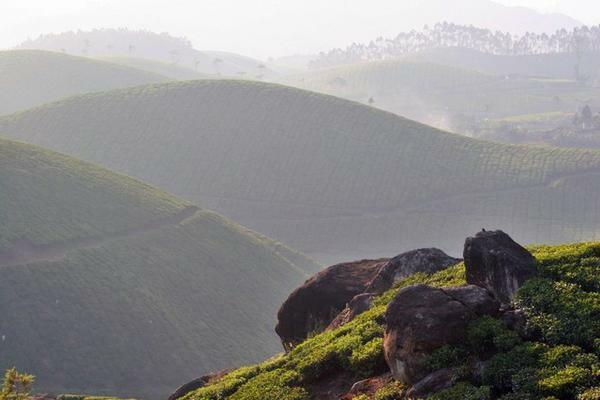 The hills consequently can be reached from within Tamil Nadu by travelling up a heavily forested winding road, with many sharp hair-pin beds. The road trip from any state is quite scenic. 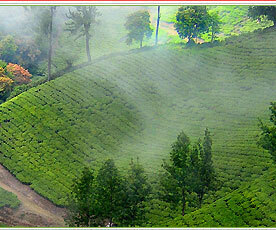 Ooty is 330 km from Bangalore by road. 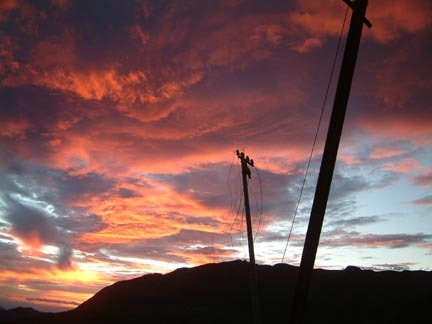 The journey takes about 5 - 6 hours, depending on the condition of the road. 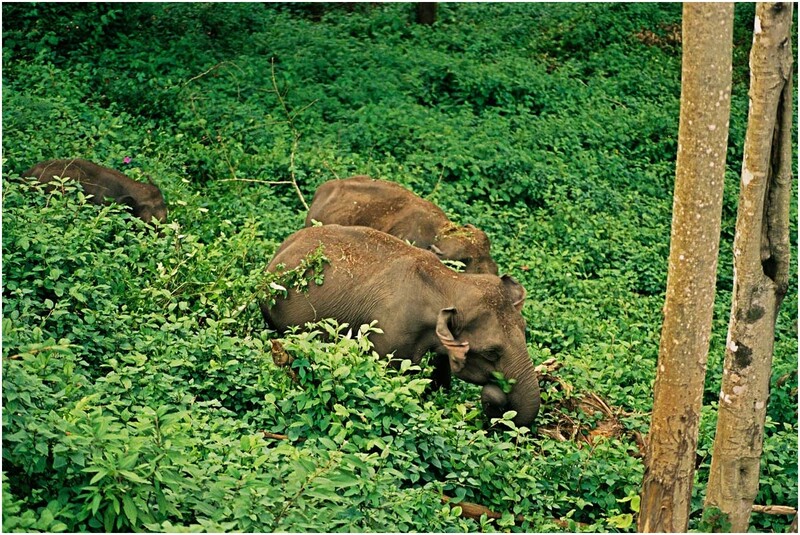 One can take a shorter route for which a diversion has to be taken at Mudumalai wildlife sanctuary. 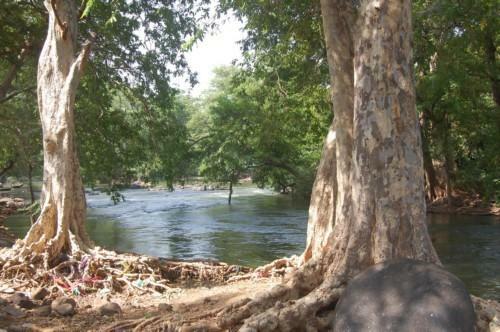 This route will take you past the small towns of Masinagudi and Kalhatti. 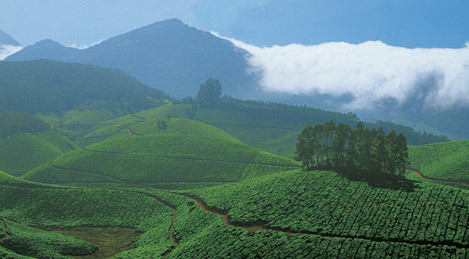 This route will curtail the distance to Ooty by about 50 km. Keep in mind that this road is closed at night as it passes through the jungle, so you may actually have to spend a few hours at the check post which is closed invariably at night. 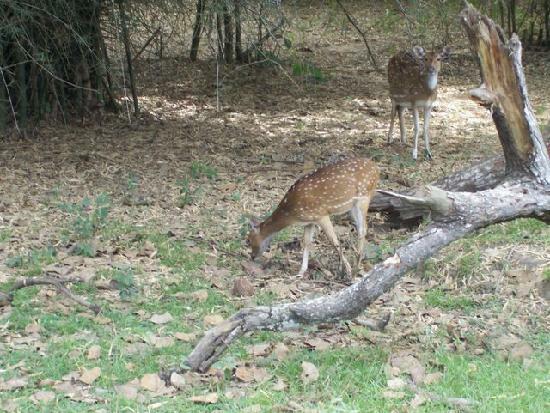 Start early if you can so that the drive through Bandipur and Mudumalai forest can be done leisurly taking in the occassional animal sightings. 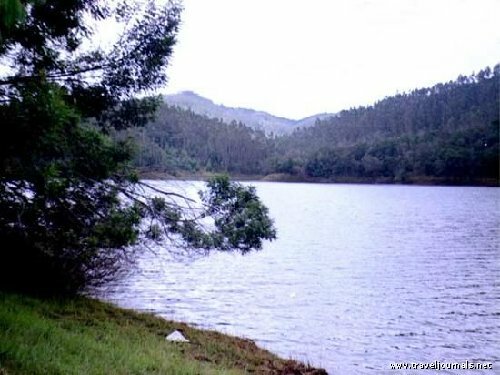 Ooty - Pine Forest, Kamarajar Dam, 6th Mile, 9th Mile Cine shooting point, Toda settlements (Tribal Village), Golf course, Pykara falls, Pykara lake(Boating) , Ooty Centenary Rose Garden, Lake(Boathouse), Thread Garden, Children Park, Botanical Garden, Dodabetta Peak, Tea Factory, Wax Museum, Ketti Valley View, MRC Military Camp (Outside View), Sims Park, Dolphin's Nose, Lamb's Rock, Tea Gardens, Nilgiri Mountain Railway, Mudumalai wildlife Sanctuary. Coonoor - Ketti Valley View, MRC Military Camp (Outside View), Sims Park, Dolphin's Nose, Lamb's Rock, Tea Gardens, Nilgiri Mountain Railway, Mudumalai wildlife Sanctuary. Cost Including : Vehicle Rent , Fuel , Driver Allowance , Parking, Toll Charges & Interstate Permit Charges. 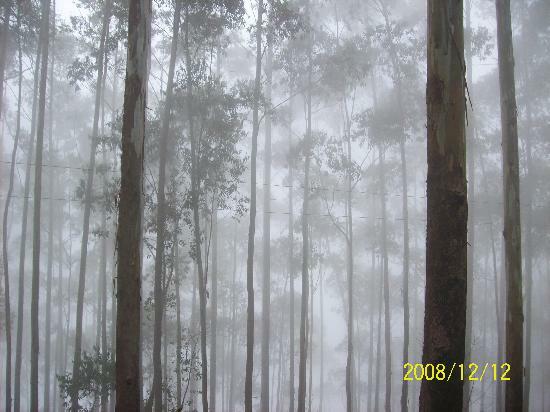 Time: 9.00 Pm Tour ending at Ooty. Note : Same Charges for Pick up from Mysore & ( Mysore - Ooty - Coimbatore drop ). Note : Same Charges for Pick up from Bangalore & ( Mysore - Ooty - Coimbatore drop ). 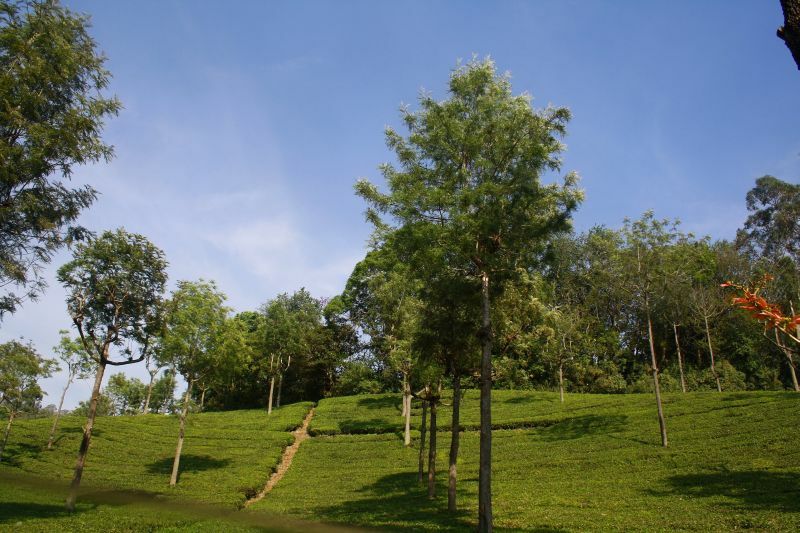 Note : Same Charges for Pick up from Bangalore & ( Mysore - Ooty - Kodaikanal - Coimbatore drop ). Munnar to Ooty, On the way Coonoor Local Sightseeing Ketti Valley View, MRC Military Camp (Outside View), Dolphin's Nose, Lamb's Rock, Tea Gardens, Sims Park and proceeding to Ooty. 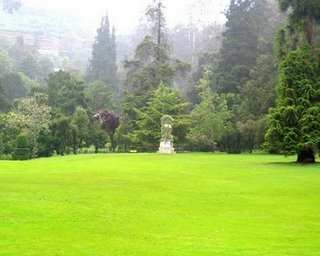 Ooty local Sightseeing Centenary Rose Garden, Lake(Boathouse), Thread Garden, Children Park, Government Museum, Dodabetta Peak, Tea Factory, Botanical Garden, Wax Museum. 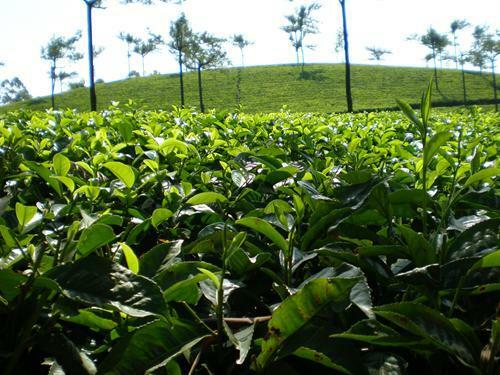 Ooty to Pine Forest, Kamarajar Dam, 6th Mile, 9th Mile Cine shooting point, Toda settlements (Tribal Village), Golf course, Pykara falls, Pykara lake (Boating), Mudumalai Wild Life Sanctuary Sightseeing & proceeding to Mysore. Day 1 Coimbatore to Coonoor MRC Military Camp (Outside View), Dolphin's Nose, Lamb's Rock, Tea Gardens, Sims Park, Wax Museum, Ketti Valley View, Nilgiri Mountain Railway and to Ooty. 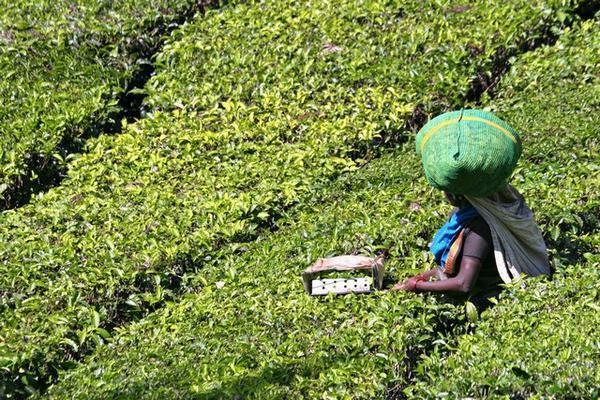 Day 3 Ooty to Waynad, Local Sight seeing Ananthanatha Swami temple, Muthanga Wildlife Sanctuary, Banasura dam, Begur Wildlife Sanctuary, Chembra Peak, Edakkal Caves, Meenmutty Falls, Kanthapara Falls, Soochipara Falls, Night stay in Wayanad hotel. 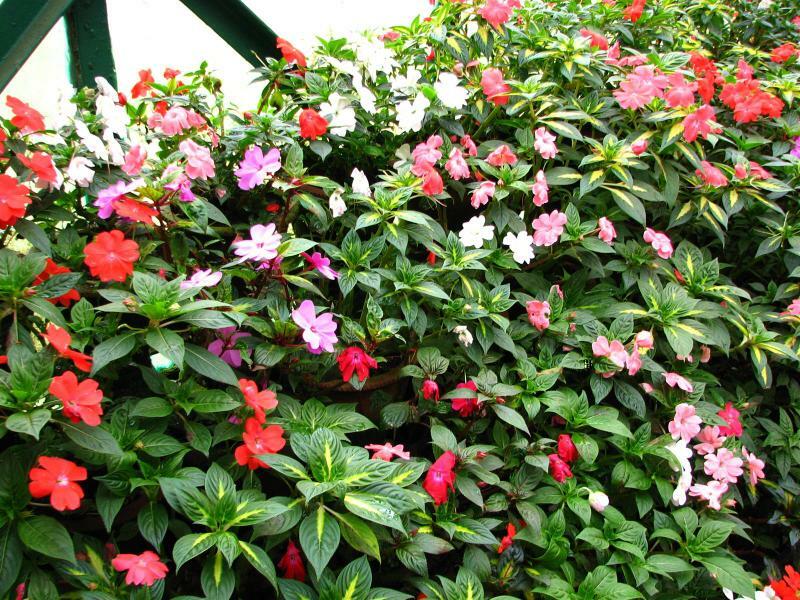 Day 4 Wayanad to Coorg, Local sightseeing, Talacauvery, Bhagamandala, Abeey Falls, Raja Seat, Omkareshwara Temple, Madikeri Fort, Raja Tomb, Night stay in Coorg hotel. 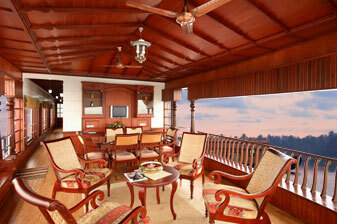 Day 5 Dubare Elephant Camp, Kushalnagar Buddha Temple, Tibetan Monastery, Nisargadhama, Night stay in Coorg hotel. Day 6 Coorg to Mysore, Local sightseeing - Brindavan Gardens, Chamundi Hills, Mysore Zoo, Lalita Mahal Palace, and Drop at Mysore or Coimbatore. Cost Including : Cab Rent , Fuel , Driver Allowance , Parking & Tolls Charges. 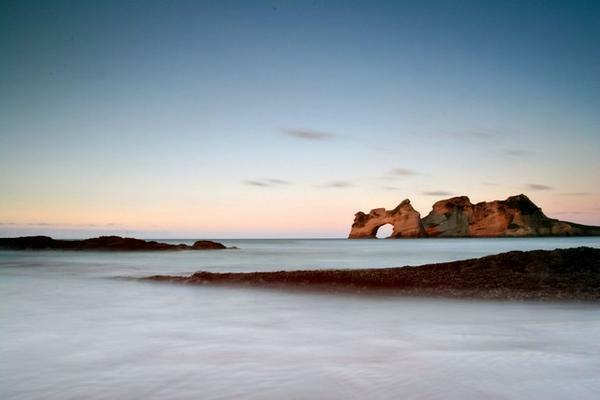 Cost Including : Vehicle Rent, Fuel, Driver Allowance, Parking & Toll Charges. 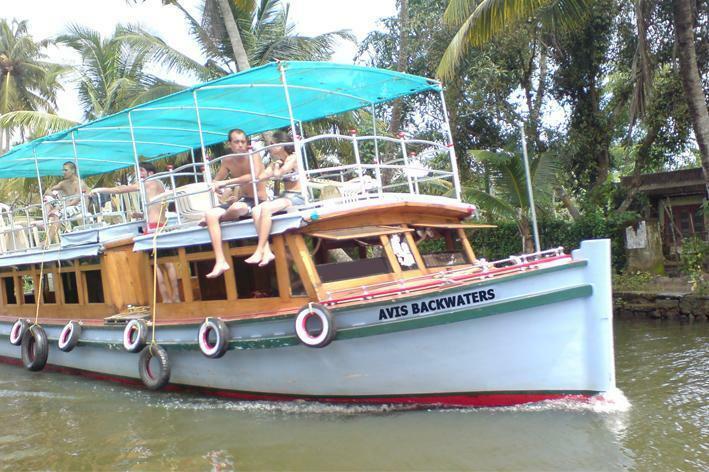 Alleppey is one of the most important Back Water Tour in Kerala. 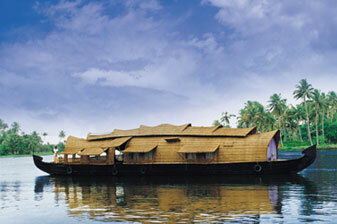 Kerala is known for its panoramic backwater stretches, lush green paddy fields, highlands and beaches. 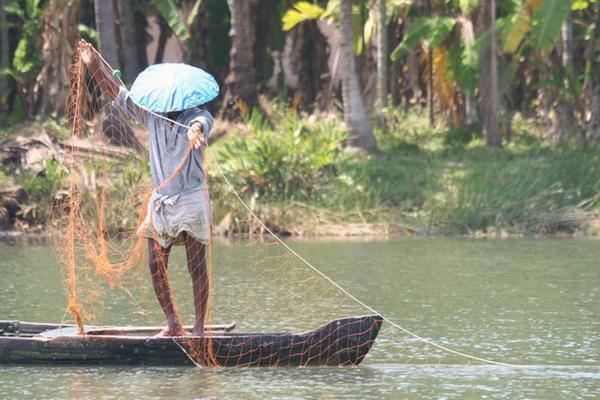 The major backwater stretch is in Kottayam district, where a network of rivers and canals empty into the great expanse of water called the Vembanad Lake. 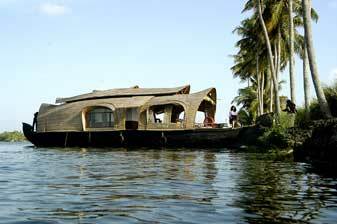 In Between Alleppey House Boat, Beach sightseeing. 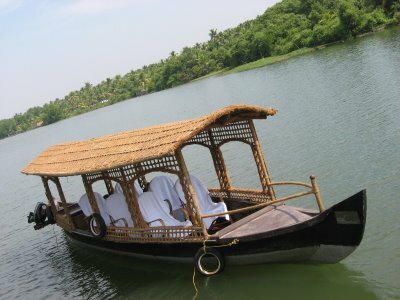 Note : Same Charges for Pick up from Bangalore & ( Mysore - Coorg - Ooty - Coimbatore drop ). 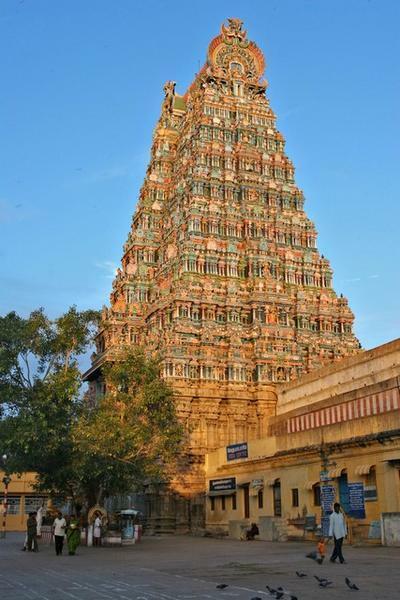 From Coimbatore to Thingaloor ( Chandran ) , Alangudi (Guru ) , Thirunageshwaram ( Raghu), Suriyanar Kovil ( Suriyan ) , Kanjanoor ( Sukran) & Night Halt at Mayiladuthurai. From Mayiladuthurai to Vaitheeswaran Kovil ( Sevvai ) , Thiruvenkadu ( Bhudan ) , Keezhaperumpallam ( Kethu ) , Thirunallaru ( Sani ) & Coming Back to Coimbatore. Cost Including : Cab Rent, Fuel, Driver Allowance, Parking, Toll & Interstate Permit charges. 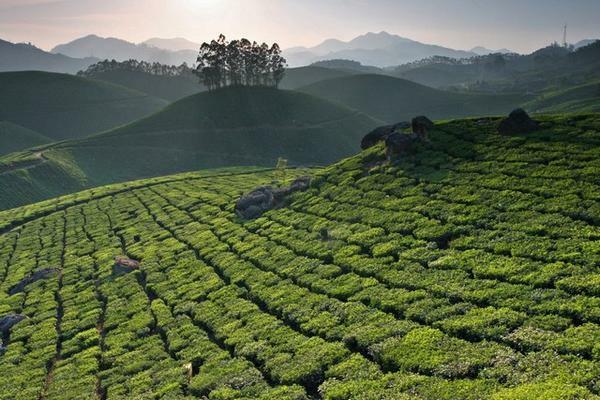 The Nilgiris are in Tamil Nadu, but it is quite near the borders of neighboring states Karnataka and Kerala. 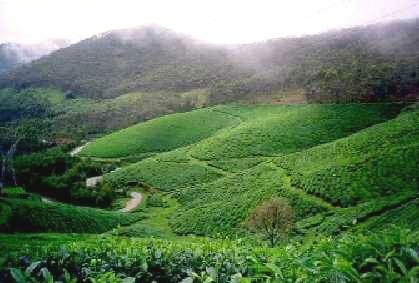 The hills consequently can be reached from within Tamil Nadu by travelling up a heavily forested winding road, with many sharp hair-pin beds. The road trip from any state is quite scenic. 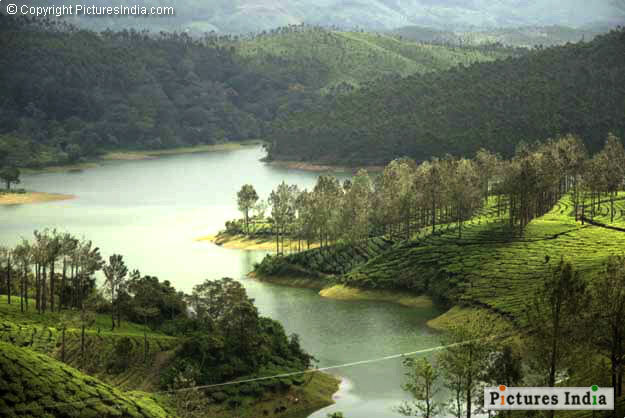 Ooty is 150 km from Mysore by road. The journey takes about 3 - 4 hours, depending on the condition of the road. 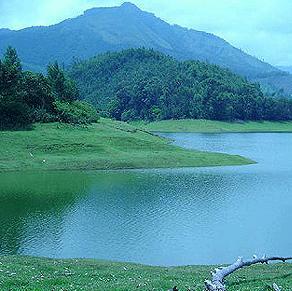 Madikeri (at Coorg) is a well known hill station for tourists in Karnataka. 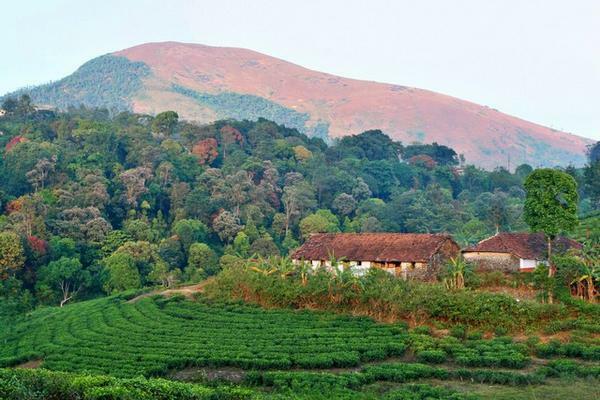 Coorg has a well-connected network of roads that connects it to most of the important cities in Karnataka. 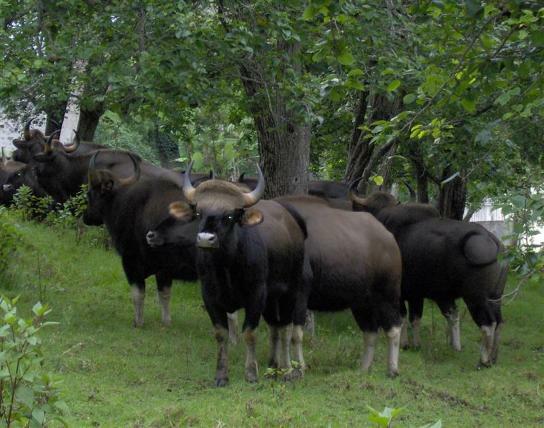 It is situated 120 km from Mysore, and it is the headquarters of the district Kodagu. 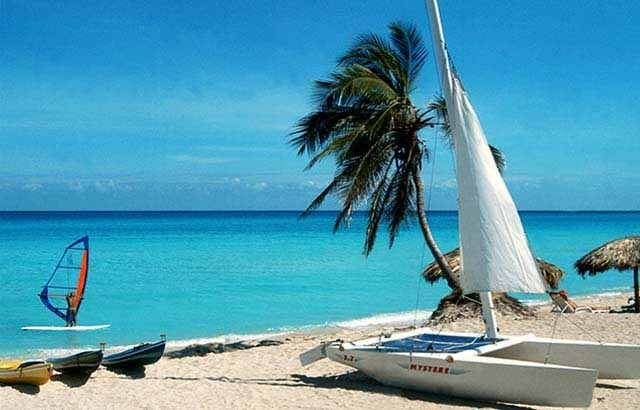 It has mesmerizing mountain ranges all over with greenery and the tranquil waters of the Cauvery River flowing through the hilly area. 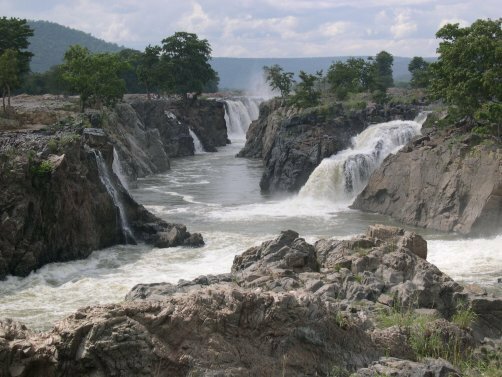 When you land in Athirapally, you are greeted with the sight of charming green Sholayar Peaks peering over the rushing gush of the falls. 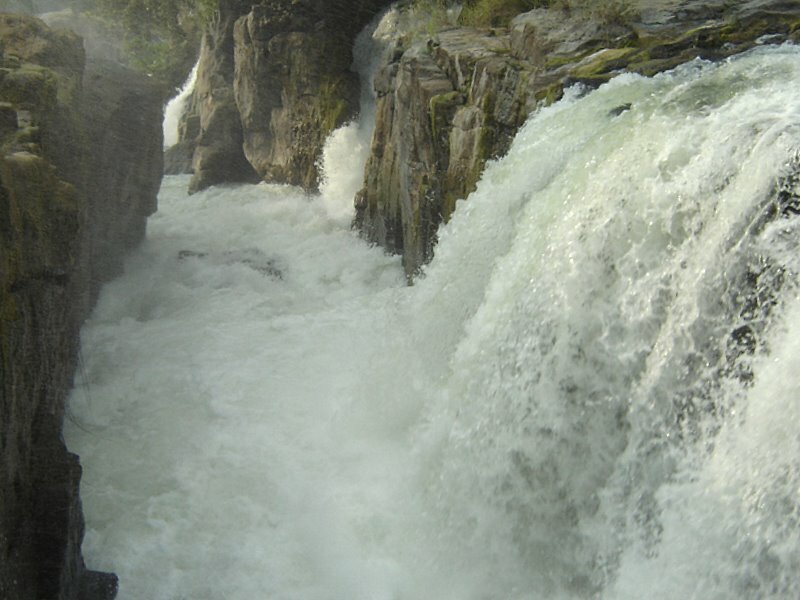 Athirapally waterfall drops from a height of 80 feet through several parallel streams offering a great scenic beauty. 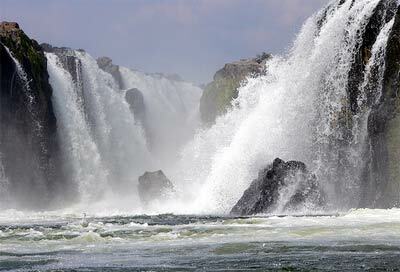 In monsoon season, the water gets strength and all the streams join together and appear like Niagara Falls. 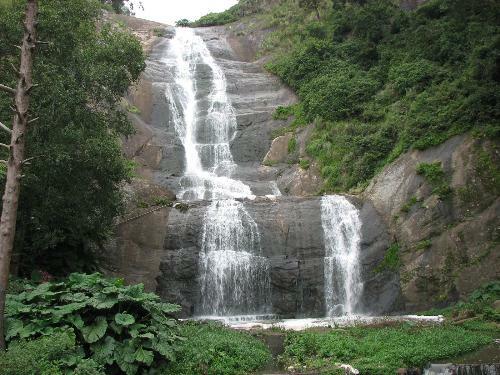 This is the biggest waterfalls in Kerala and well known for its scenic beauty. 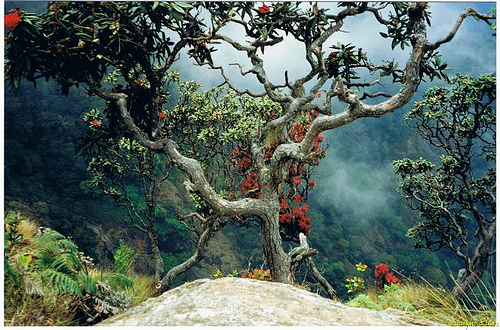 Standing against the backdrop of a rustling jungle foliage, the scenery is as picturesque as it can get. 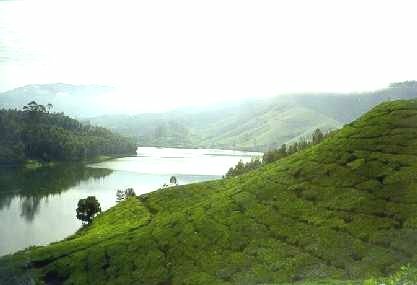 Eachanari, Masaniamman Temple, Aaliyar Dam,Monkey Falls, Balaji Temple, Sholayar Dam, Tea Estates, View Points, Athirapally Water Falls. Day 1 Bangalore City / Railway station pick up and proceed to Kabini. 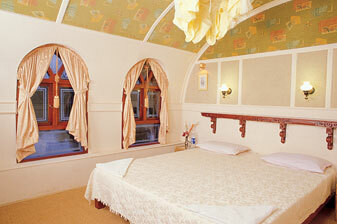 check in hotel & local sightseeing. 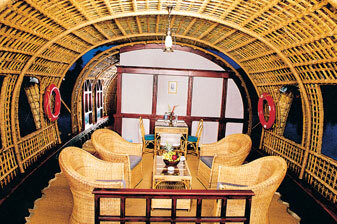 Night halt in Kabini. Day 2 Local Sightseeing and proceed to Bangalore City / Railway Station Drop. 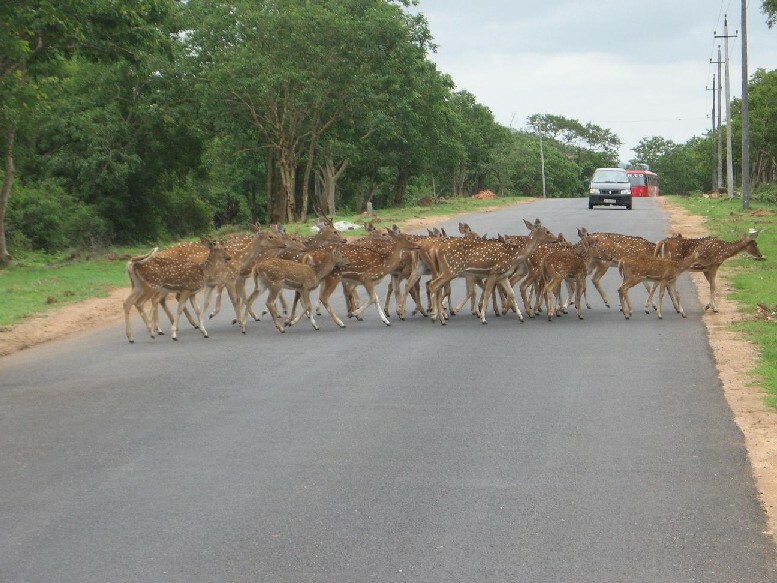 Local Sightseeing Places in Kabini : Brahmagiri Wildlife Sanctuary, Nagarhole National Park, Kabini Dam, Lakshmana Tirtha River. 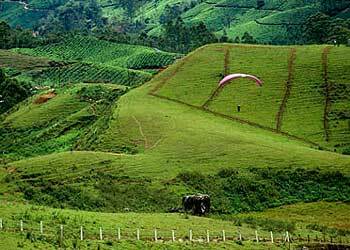 Brahmagiri - a mountain range in the Western Ghats, is situated on the border of the Kodagu District in Karnataka. 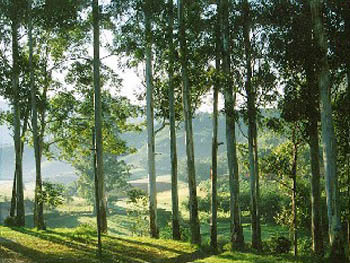 Kutta - Kutta is part of Kabini region in South Kodagu. Day 1 Bangalore Airprot pick up and proceed to Kabini. 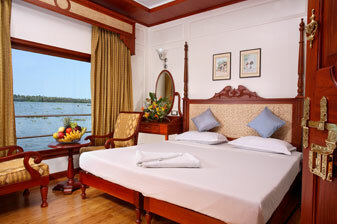 check in hotel & local sightseeing. 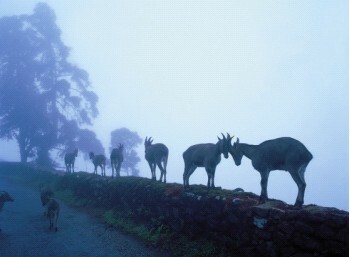 Night halt in Kabini. Day 4 Coorg to Mysore , Mysore Local Sightseeing - Mysore Palace, Mysore Zoo, Rail Museum, Art Gallery, Chamundi Hillst, Brindavan Gardens. And final drop at Mysore Railway station / City. 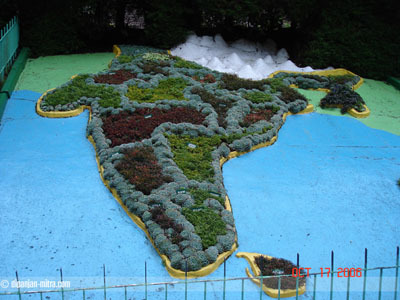 Day 2 Ooty Centenary Rose Garden, Lake(Boathouse), Thread Garden, Children Park, Government Museum, Dodabetta Peak, Tea Factory, Botanical Garden, Wax Museum. 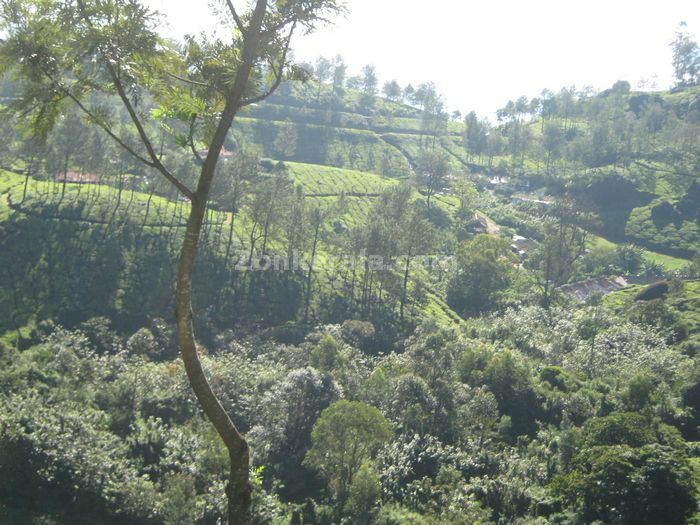 Day 3 Ooty to Coonoor Nilgiri Mountain Railway. 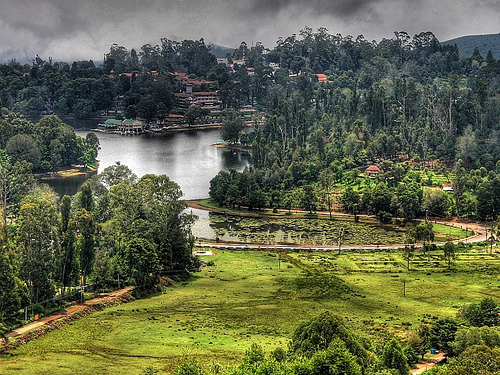 Ketti Valley View, Sims Park, Dolphin's Nose, Lamb's Rock & proceeding to Kodaikanal. Day 4 Kodaikanal Local sightseeing - Kodaikanal Lake, Coaker's Walk, Pillar Rocks, Bryant Park, Green Valley View, Kurinji Andavar Temple, Silver Cascade Falls. 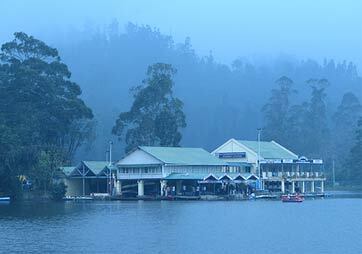 Day 5 Kodaikanal to Ã¯Â»Â¿Guna Cave, Berijam Lake is about 20 - 25 kms from kodaikanal inside forest area, Dolphin's Nose, Bear Shola Falls, Shenbaganur Museum. Day 6 Kodaikanl to Coimbatore / Mysore drop. 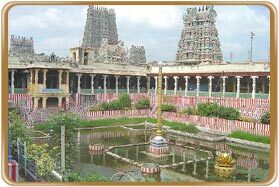 Thiruvannamalai - A Divine retreat for weary souls. 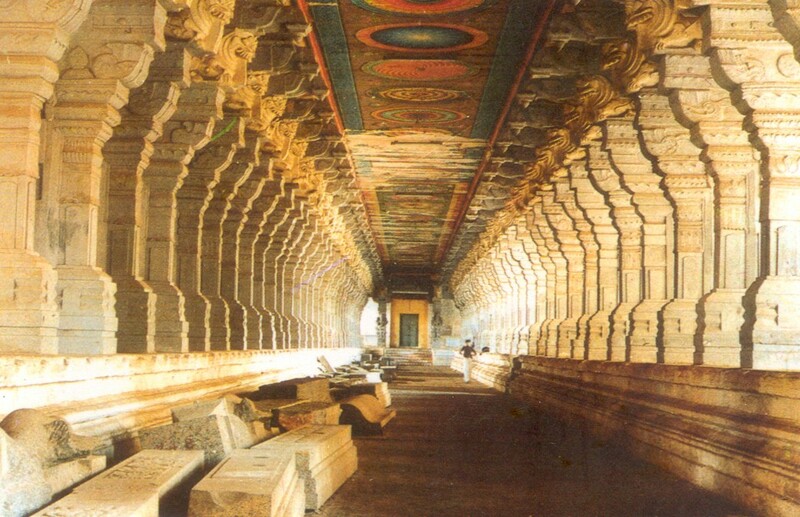 Temple is an externalized aspect of faith, and it is a place to restore peace and harmony. 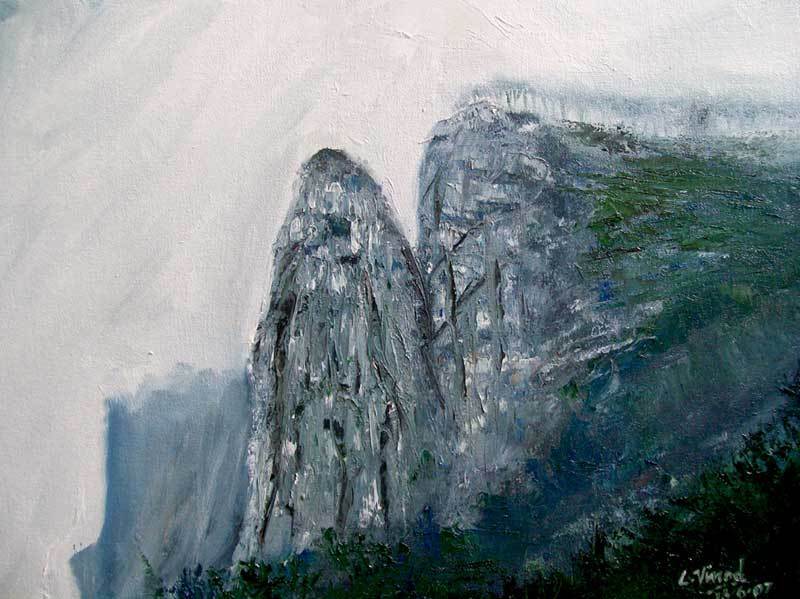 What great seers have visualized has been made outwardly real in a temple. 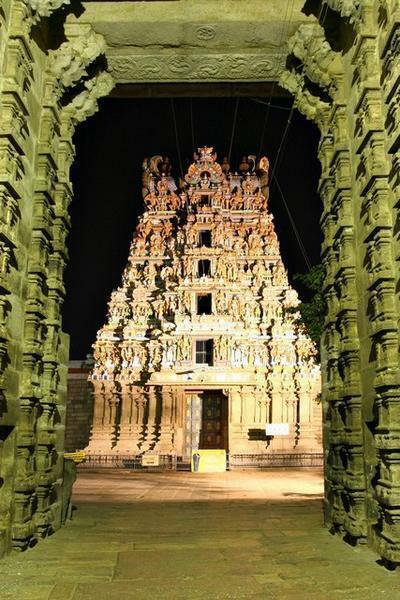 This temple is safely edifice consecrated to the Lord of Light and other deities, built centuries ago at the foot of the hill to form the seat of worship. 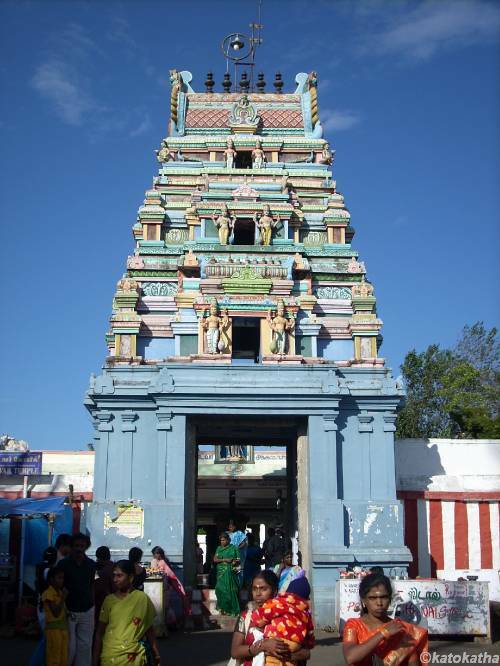 The main entrance to the sanctum sanctorum is in the eastern tower, the tallest structure in proportion to the other dimensions of this largest temple forming part of it. The tower rising heavenward is marvelously massive and magnificently majestic one with its imposing structural elegance and inviting architectural excellence and awes people at a distance. 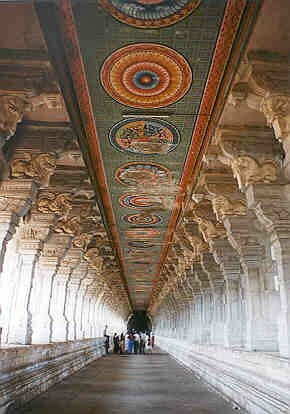 Temple is the world's only social hope and the sole promise of peace and harmony; It purifies the society, and looks at the world with the intention of serving it, and strengthening society spiritually uniting people. The temple stands for the eternal, and the great glory of god where people praise the name of god and sing his glory. The temple offers you something you simply cannot get else where. 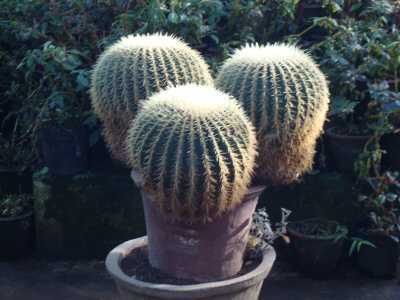 where temperature never rises above 30ºC and dip below 13ºC . 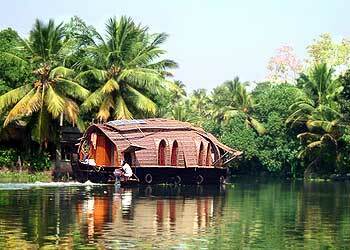 It is also a less expensive place than either Udhagamandalam or Kodaikkanal. 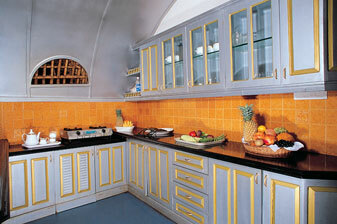 Coffee and citrus fruits, most notably oranges, are grown in abundance apart from bananas, pears and jack. 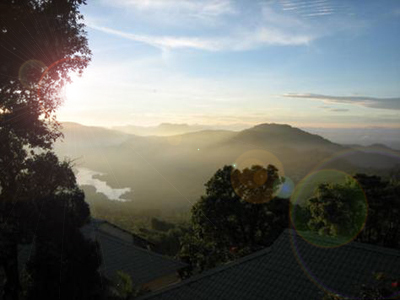 Scenically, Yercaud is as enchanting and picturesque as the hill stations on the Western ghats and trekking here can be one of the most pleasurable ways to pass time. 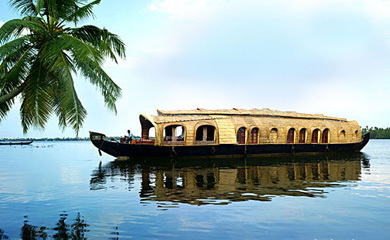 One Day Yercuad Tour Package main attractions are Big Lake, Yercaud, Botanical Garden, The Pagoda Point, Servarayan Temple, Lady's Seat, Gent's Seat and Children's Seat, Sri Raja Rajeswari Temple, Killiyur Falls, Shevaroy Temple, Yercaud Town, Anna Park, Karadiyur View Point, 32-km Loop Road, Yercaud, Silk Farm. Time: 9.00 Pm : Tour ending at Tirupur. Cost Including : Cab Rent , Fuel , Driver Allowances , Parking Toll Charges. Day 1 From Madurai to Palani Temple, Kodaikanal Lake, Coaker's Walk, Kurinji Andavar Temple, Silver Cascade Falls. 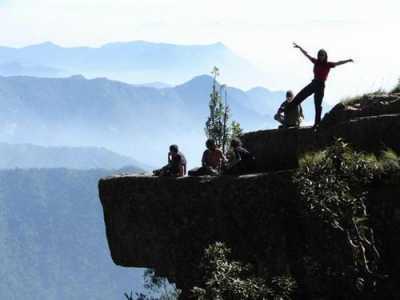 Day 2 Pillar Rocks, Bryant Park, Green Valley View,Berijam Lake is about 20 - 25 kms from kodaikanal inside forest Area. 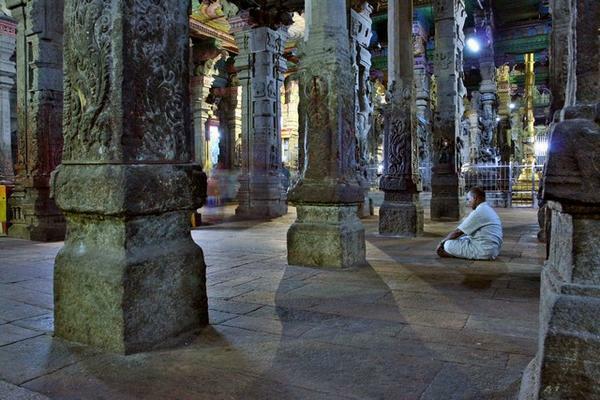 Day 1 Madurai to Rameshwaram , Night Halt in Rameshwaram. 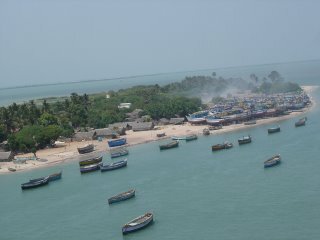 Day 2 Rameshwaram - Thiruchendhur - Kanyakumari. 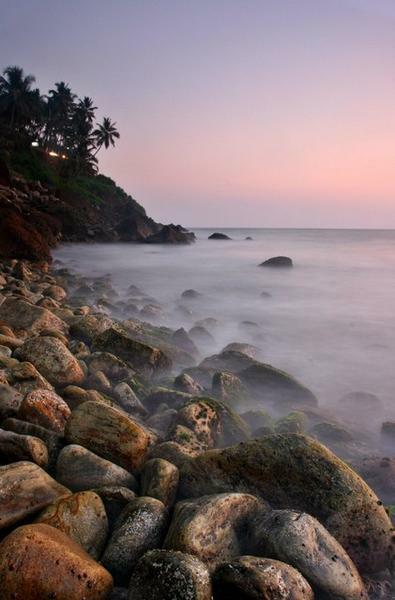 Night halt in Kanyakumari. Day 4 Trivandrum to Cochin and Drop at Cochin. Note : Same Tariff for Pick up from Mysore & ( Mysore - Ooty - Kodaikanal - Madurai drop ). Note : Same Charges for Pick up from Bangalore & ( Mysore - Ooty - Madurai drop ). 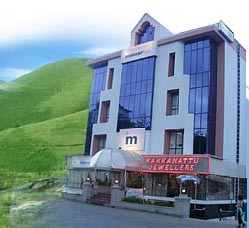 Note : Same Charges for Pick up from Bangalore & ( Mysore - Ooty - Kodaikanal - Madurai drop ). 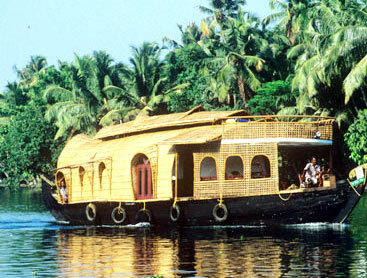 Day 3 From Munnar to Alleppey House boat, Overnight Staying in House Boat. 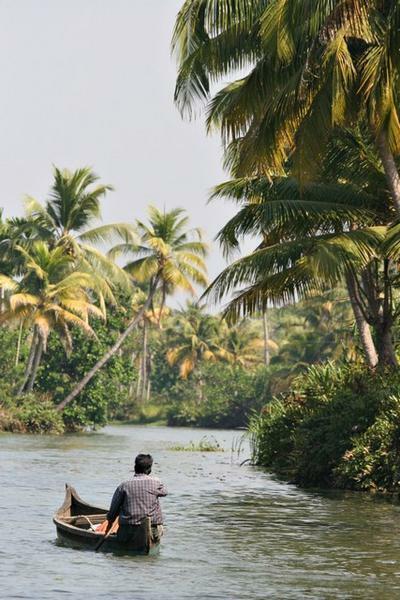 Day 4 From Alleppey to Cochin Dropping. Note : Same Tariff for Pick up from Mysore & ( Mysore - Ooty - Kodaikanal - Tirupur drop ). Ambassador cars in India, serving the nation for over 50 years with safety and sturdiness was born in 1950. Ambassador is the only automobile to ply on Indian roads for more than five decades. 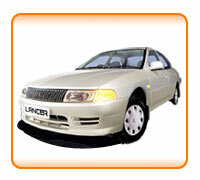 Mitsubishi Lancer is a perfect blend of elegant luxury, innovative technology, consistent performance and state-of-the-art safety elements.